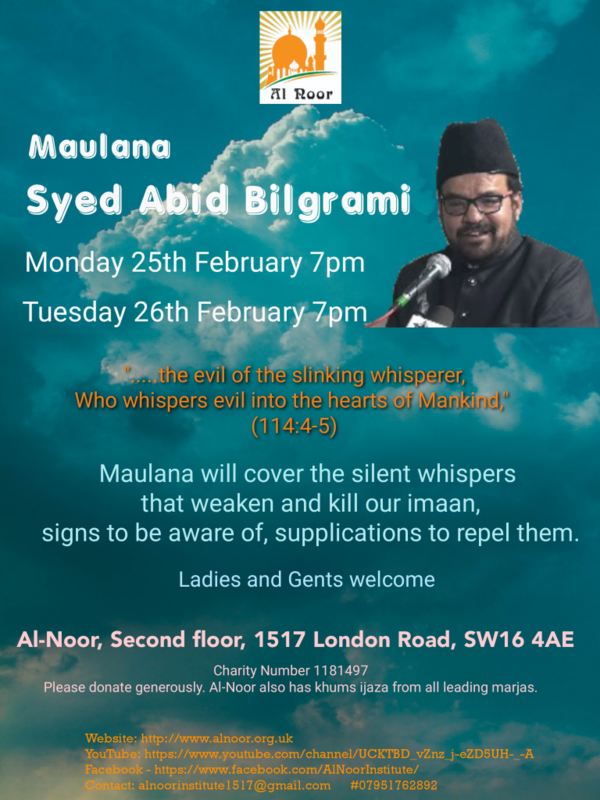 on February 25th and 26th Maulana Abid Bilgrami will be reading in Al Noor. Ladies and gents welcome. To sponsor Majlis contact: Syed Irshad Moosavi on 07951762892. 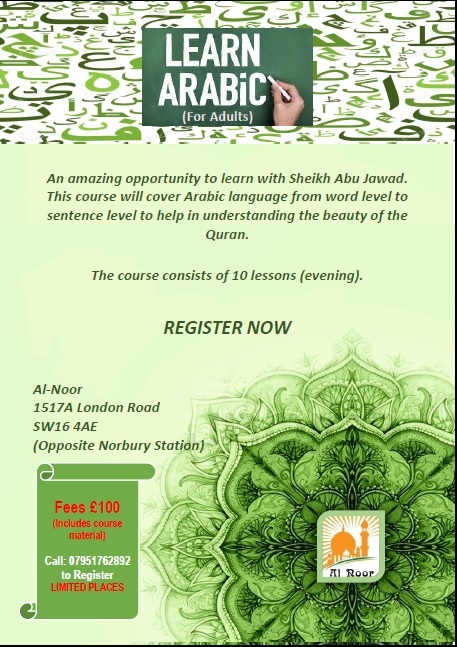 Tutor- Sheikh Abu Jawad. 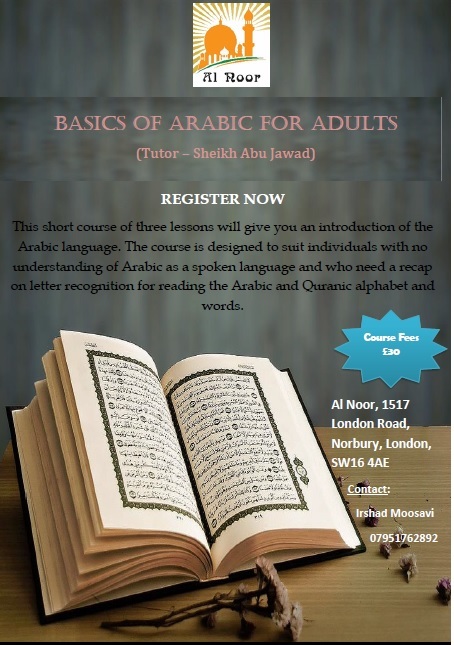 Few spaces left, register your details with: Syed Irshad Moosavi on 07951762892. Al Noor Institute is a community project run by a faith-based organisation that has community-wide goals may be eligible for matching. Eligible projects must be able to demonstrate that beneficiaries are not encouraged or required to learn about, adhere to or convert to that organisation’s religious beliefs as a condition of receiving support or using the project’s facilities. To promote youth programmes for both boys and girls for religious awareness and personality development in the light of preachings from Quran and Maasumeen.